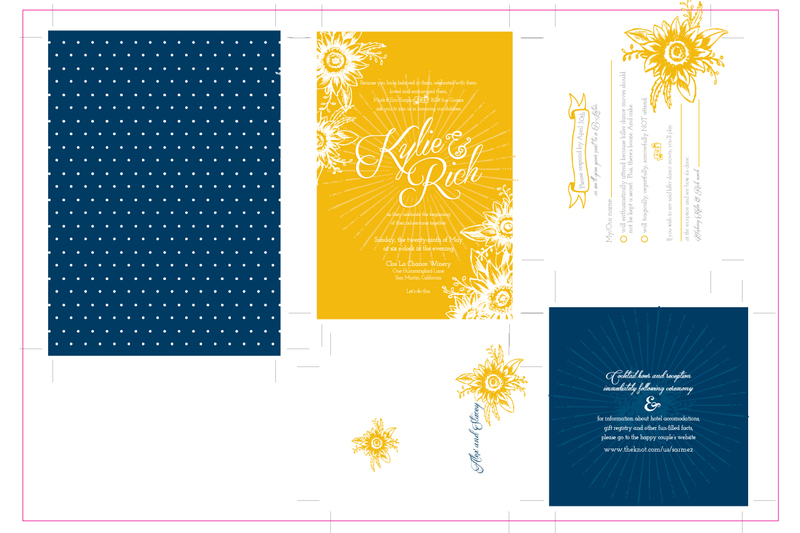 When the daughter of a printer and a designer gets married, there's gonna be some cool paper involved. 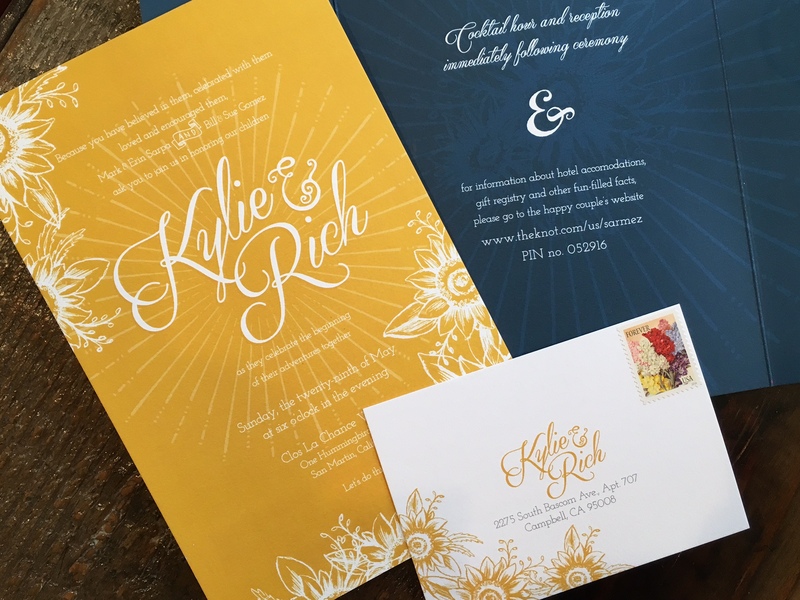 As a designer, I've created lots of lovely wedding suites over the years but never felt the kind of pressure I put on myself for my daughter's invitation. 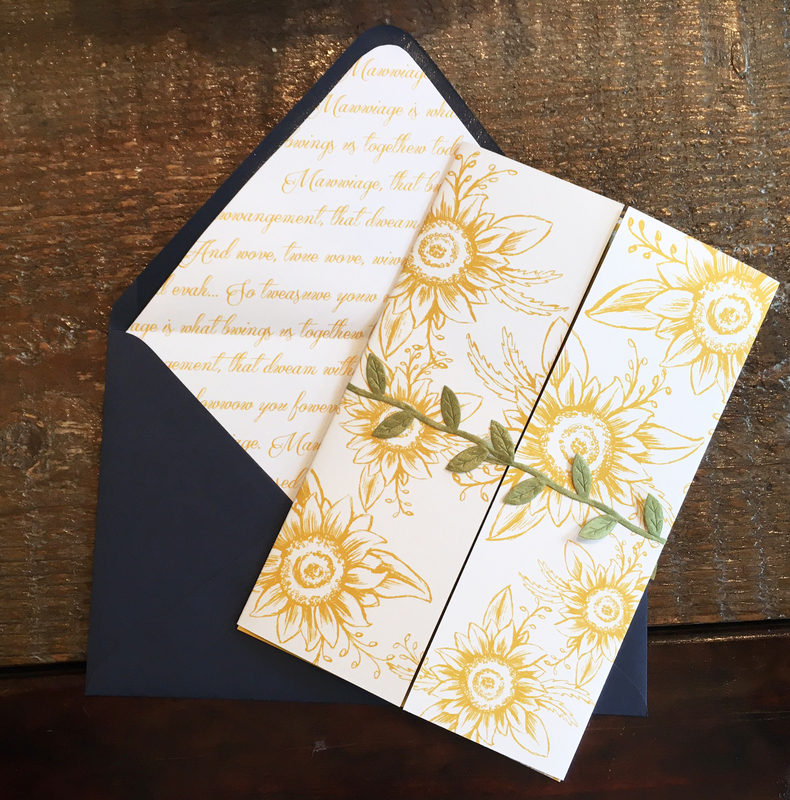 She wanted it to be happy and bright and incorporate sunflowers. At the end of the day, all that really matters is that the Bride and Groom are in love and their guests' happiness showered them with sunshine.